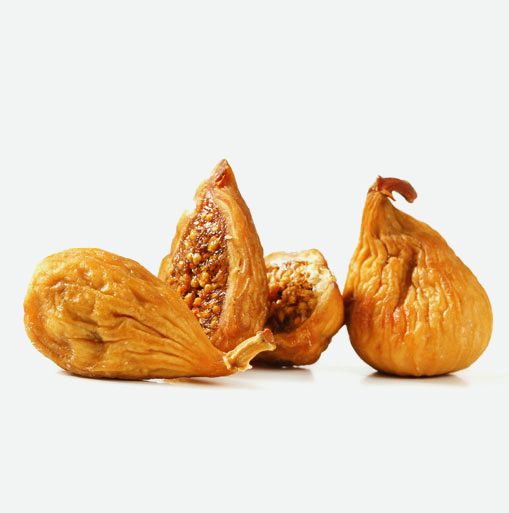 Fresh figs are one of the most perishable fruits. They should be purchased only a day or two before you eat them. Choose figs that have a rich, deep colour and are plump and tender, but not mushy. They should have firm stems and be free of bruises. They should have a mildly sweet fragrance and should not smell sour, which is an indication that they may be spoiled. Due to their delicate nature, figs can bruise easily so make sure they are stored arranged on a paper towel-lined plate or shallow container. They should be covered or wrapped in order to ensure that they do not dry out, get crushed or pick up odours from neighboring foods. Slightly under-ripe figs can be placed on a plate at room temperature and away from direct sunlight. Figs need to be washed just before eating or cooking. Run them under cool water, then gently remove the stem. Pat them dry with a towel. Add figs to oatmeal or any other whole grain breakfast porridge. Poach figs in juice or your favourite red wine and serve with cheese or nuts. Add quartered figs to a salad of fennel, arugula and shaved Parmesan cheese. Stuff fresh figs with goat cheese or your favourite creamy cheese, and chopped almonds, walnuts or pecans.